Do you remember how earlier in this series we said, more than once, that if there were any themes (there aren’t) then one of them might be that of (white) men reconnecting with the medium of recorded music in their middle age? 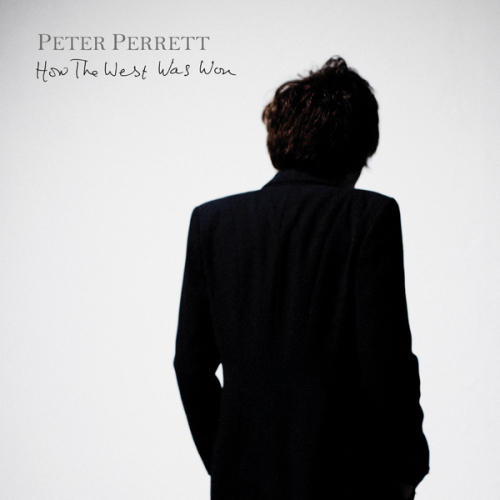 Well, if there were an award for winner of that particular category (there isn’t) it would certainly go to Peter Perrett. Did you see it coming? I mean, it was a shot as from nowhere that the former Only Ones singer should emerge with a new solo record in 2017 but that was as nothing compared to the splendid shock of just how terrific it ended up being. From the first opening riff references to ‘Sweet Jane’ to its final breaths of guitar notes that could be lips kissing ‘New Day Dawning’, How The West Was Won is a ravishingly full bloodied immersion in rock and roll. It is unapologetic. It is celebratory. It is also intelligent enough to remind itself not to take it all too seriously, throwing in throwaway nods and winks that cast a sprinkling of dark knowing humour. How The West Was Won in many ways acts as some kind of splendid brethren to Americana, where Perrett picks up on Davies’ foundations and spoils the party with a Punky sneer. Perhaps no surprise then to discover it was mostly recorded at KONK studios. As we are won’t to suggest at times: It all fits. Alexis nails it in his splendid review for The Manchester Guardian when he suggests that Perrett “has pulled off something genuinely remarkable here”, for How The West Was Won is certainly a remarkable record. Remarkable in the context of Perrett’s back story, yes, of course, but remarkable too for simply being such a marvellous collection of brilliant songs so perfectly recorded. Would we love this record in spite of its history? Yes we would. Would the record exist if not for that history? Well no, of course not. The two are impossible to untangle, and why would you want to anyway? So How The West Was Won is drenched in the stench of excess, ego and selfish introspection to the point of near-extinction but is also offset with the scent of escape and the faintest glimmer of redemption. It all fittingly slips to its conclusion with ‘Take Me Home’, a glorious tale that captures the almost desperate conflict between the desire to belong with the unquenchable need to be separate. ‘Take Me Home’ is the quest to return to a centre which is continually just out of reach and not-quite possible to define or grasp. ‘Home’ is here, there, nowhere; the place we simultaneously yearn to return to and desperately desire to escape from. As such it captures where How The West Was Won may sit in the Peter Perrett story: Perhaps one last perfect point of conclusion or perhaps one stepping off point for brighter futures. One rather hopes it is the latter, but either way we are lucky to have such a magnificent artefact of rock and roll perfection. Remarkable, indeed.